As we age the amount of human growth hormone being released by the pituitary gland decreases, but that is only one part of the process that breaks down with age. Once human growth hormone is released by the pituitary gland it is taken in by the liver and must be converted into growth factors like IGF-1. It is the growth factors, particularly IGF-1 that give us most of the benefits we associate with HGH. As we age the liver no longer converts the human growth hormone into growth factors as well as it did before. After the liver has done its work the growth factors must then be utilized by the body on the cellular level. As age progresses, the cells of the body do not utilize the growth factors as well as before. Lastly, somatostatin is known to increase with age. Somatostatin is really meant to be a defense mechanism that prevents too much HGH from being released. It tells the pituitary gland when it should stop releasing growth hormone. However, if the somatostatin level becomes high it can act as a blocker. The injections can provide the body with enough synthetic human growth hormone so that it takes the place of that which would normally be released by the pituitary gland, and just restoring the amount of HGH in the body to a more healthy level has been found to provide benefits. However, the injections do not contain ingredients to help the pituitary gland release more of its own HGH, help the liver to better convert it into growth factors, or help the body to better utilize the growth factors at the cellular level. Question: How do injections compare to oral HGH? It seems the oral HGH that promotes the release would not be the miracle working supplement everyone is raving about. Is that true? How great are the benefits of supplementing with oral HGH? Answer: Actually our homeopathic HGH products do work very well however, they are sublingual, and are administered under the tongue. We have had customers who took the injections in the past and they have been pleasantly surprised with the results they are seeing with our product. The oral products that are swallowed and digested in the stomach do not contain any form of growth hormone. They usually contain amino acids and vitamins. They try to stimulate the pituitary to release more of its own HGH. Some spray products do contain growth hormone in homeopathic form. 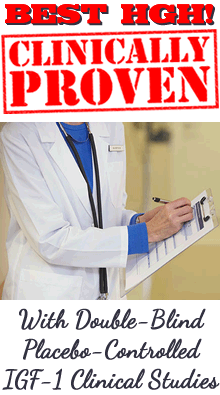 As you know, the HGH injections are a "hormone replacement therapy" with a synthetic hormone. This is one reason why, in my opinion, the injections should only be recommended as the last resort. The difference could be somewhat compared with the fact that some diabetics require insulin injections and some do not. Some patients can take oral medications to help their body to better produce and use more of their own insulin, while others must take insulin injections because their pancreas is incapable of releasing enough. Answer: Perhaps you are talking about clinical studies that compare the results of the two? There are no double-blind placebo clinical studies that gave one test group in a study the injections while another test group in the same study received homeopathic HGH spray, however, our homeopathic HGH spray formula has had independent double-blind placebo-controlled IGF-1 clinical studies that measured the increase of IGF-1 in the test subject's body after 5 months. The vast majority of other non-injection products have not had any clinical studies to measure effectiveness. Question: Could you tell me exactly what is the difference in your product and injectable hgh. Most sites won't sell hgh for no less than $1200.. I am a cross trainer athlete. I box as well as cycle. Will hgh increase my endurance and speed ? Lower body fat? increase muscle mass? Answer: Our products are homeopathic, they contain human growth hormone in homeopathic form. Our best HGH Plus IGF-1 & IGF-2 product also contains IGF-1, which is the main growth factor that provides most of the benefits associated with HGH. It also contains velvet deer antler, which is a superior source of many important growth factors, including IGF-1 and IGF-2. 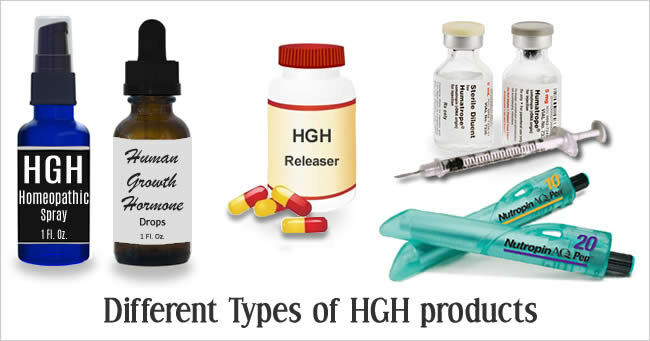 All the non-injection products on the market that contain HGH are homeopathic, and the pill and powder products that are taken orally do not contain any form of HGH. They are combinations of amino acids, vitamins, and/or herbs. Only the injections are a full hormone replacement therapy (HRT) that can deliver all the growth hormone the body needs. The injections do not depend upon the release of growth hormone by the pituitary gland in order to be effective. This does not mean that the non-injection products are not effective, high quality products such as ours work very well. This fact is affirmed in the independent randomized double-blind placebo-controlled IGF-1 level clinical studies that were done. We have many bodybuilders and athletes who take our HGH Plus IGF-1 & IGF-2 product, including those who have taken the injections in the past, and one who has even taken the IGF-1 injections in Europe. They have reported receiving great benefits with our product, and in fact some have stated they were surprised at how good it worked, since they had been told that only the injections are effective. In my opinion, the best therapy is that which not only increases the amount of HGH in the body to a more healthy level, but also supports the health and functioning of the pituitary gland and liver, helps to increase the important growth factors, helps the body to activate and utilize those growth factors, and helps to keep somatostatin in check. Our HGH Plus IGF-1 & IGF-2 product is formulated to address all these issues. Are the HGH Injections the Only Effective Therapy?